Almost every project we have has a bollard or two on it. Bollards are installed to keep vehicles from damaging expensive equipment, buildings and hazardous materials. Notice the bollards protecting this gate operator. 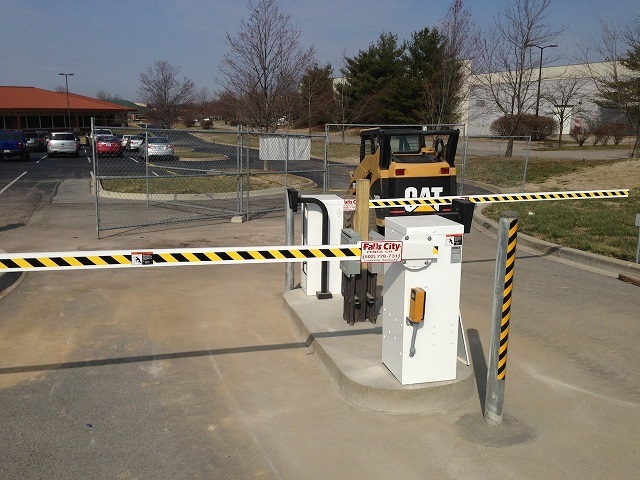 Here is a bollard protecting a gooseneck stand a keypad. This one is protecting the barrier gate operator. 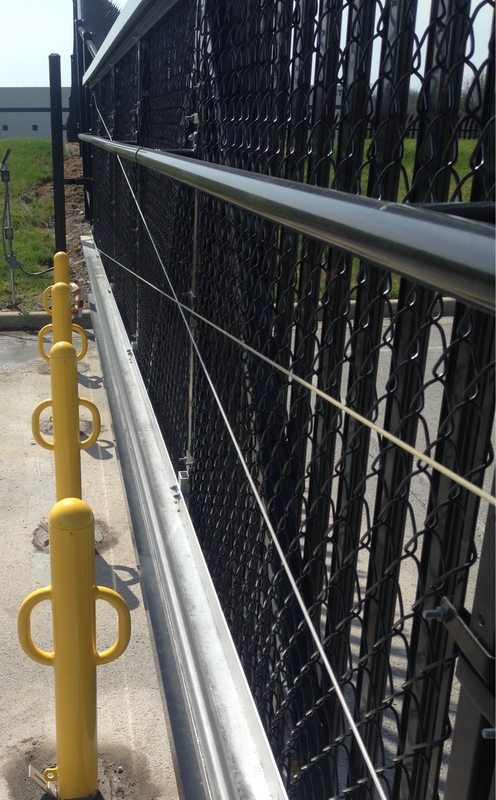 A while back one of our customers asked us to install removable bollards at a secure site. They were looking for an economical solution to a problem that hopefully never happens, a complete and total shutdown of a facility. There are quite a number of removable or retractable bollards on the market and many are truly feats of engineering. Some are powered by hydraulics or electricity. This customer was looking for a simpler answer. This bollard has a steel rod that inserts into a sleeve that is embedded in a concrete footing. It has a lockable hasp when the bollard is in place. When the bollard is removed the metal lid closes to keep out debris. It is a very simple and effective solution. 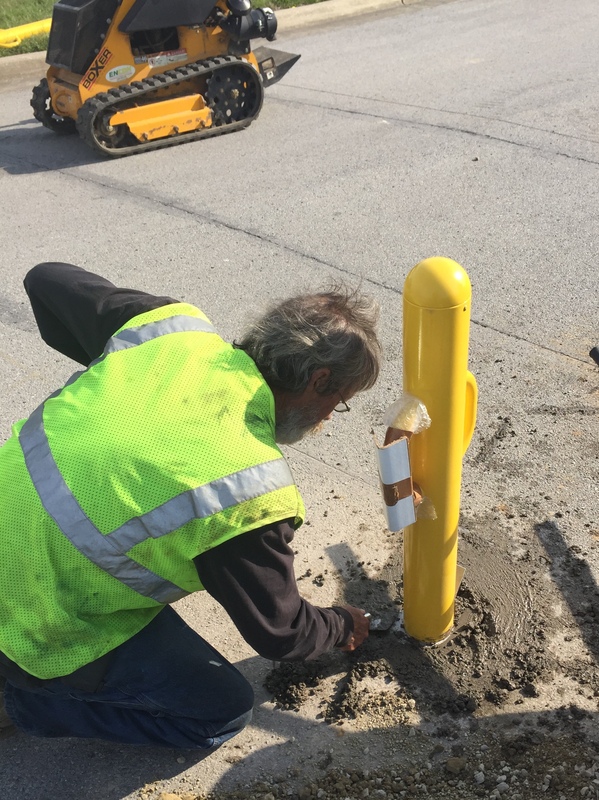 Your facility may have an area where spending a little money on a bollard or two can help you prevent a big expense down the road. 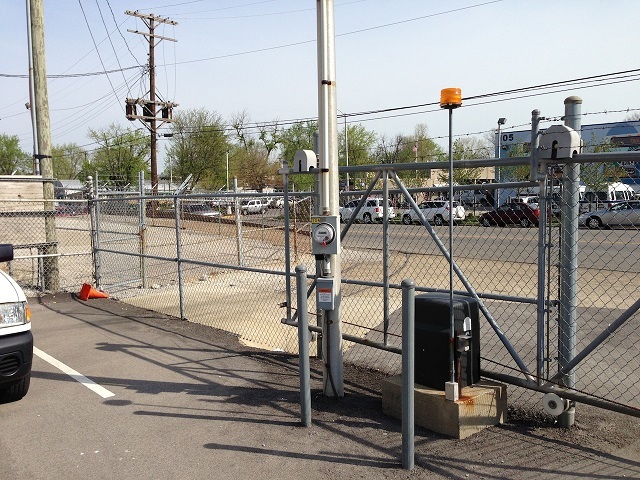 Falls City Fence specializes in commercial and industrial facilities projects in the Louisville, KY, area and Southern Indiana. Let us know how we can help – give us a call at (502) 778-7311. We are Louisville’s premiere fence company with nearly 70 years in the business. Falls City Fence specializes in perimeter fence and gate installation for commercial and industrial customers. For more information, call us any time at (502) 778-7311. We proudly serve the Kentuckiana, Bluegrass, Northwestern Kentucky and Southern Indiana region. This includes Louisville, Shelbyville, Jeffersontown, Frankfort, Lawrenceburg, La Grange, Lexington, Georgetown, Bardstown, Harrodsburg, and Danville, KY. See the complete service area list. Call us any time at (502) 778-7311, or fill out our online form to request a free custom quote for your installation or repair job. Copyright ©2017 Falls City Fence. All rights reserved.